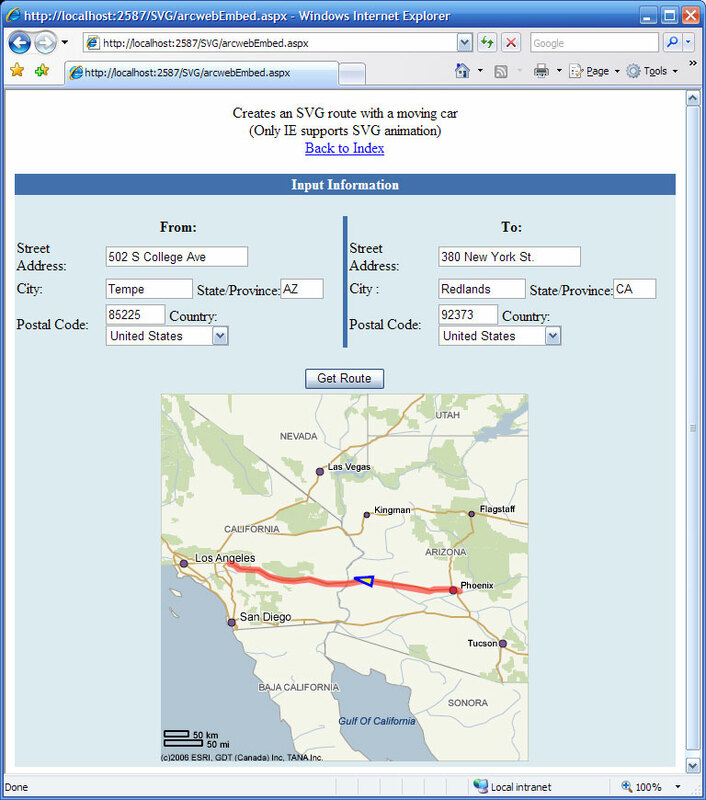 Over the weekend I saw that ESRI posted two code samples of SVG ArcWeb services for vb.NET and C# in “ESRI Labs” (or ArcScripts for some of us). I’m going to be traveling for the rest of the week so I won’t be getting into this code for some time (I had ignored the first samples because they were Java). If you don’t have an Public ArcWeb login, you can get one here and then download the code from ArcScripts (see links above). All you have to do is make a simple change to the web.config and you are in business. You’ll also want to download the SVG plugin. Even though Firefox does handle SVG “out of the box” it is slow and can’t do all the functionality that the plugin can.